Mkhitaryan played alongside the pair during his time at Borussia Dortmund in Germany and formed a close bond. 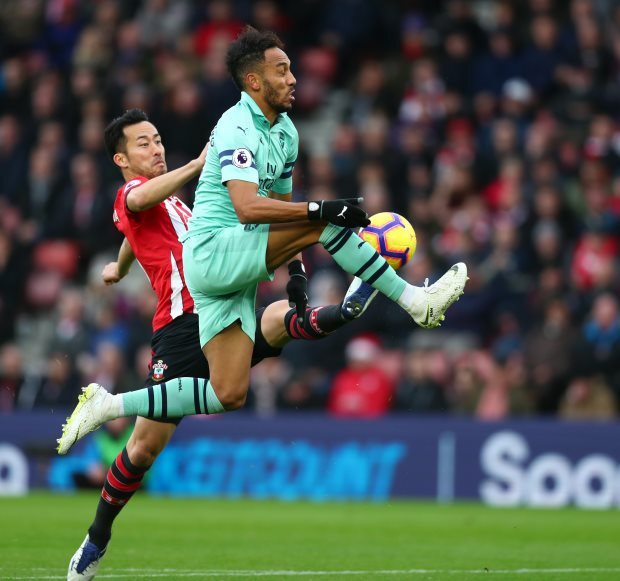 Arsenal swooped to bring in Aubameyang from Dortmund in the January transfer window last year, while Sokratis arrived, also from the Bundesliga giants, last summer. And Mkhitaryan admits he never thought he would get the chance to link up with the duo again and is delighted they are now at Arsenal. "It was my dream to play again with them but unfortunately I didn't see it happening. "I am very happy to see them. "They are special to me like they were in Dortmund and I was very sad to leave the club, to leave them. "But that's football. The world is small and now we are reunited!" The trio will be looking to make a big impact over the business end of the season as Arsenal try to finish in the top four. Under Unai Emery, Arsenal currently sit sixth, having been overtaken by Ole Gunnar Solskjaer's Manchester United side, who sit a point ahead, while Chelsea are fourth and three points clear of the Gunners.